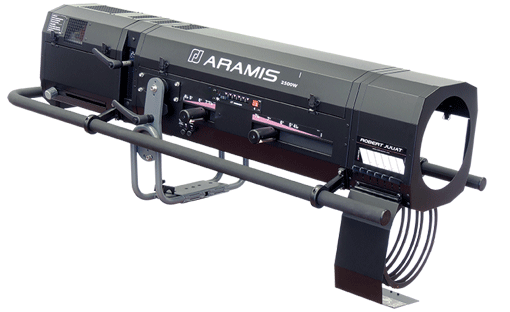 Aramis has long been the favoured followspot for opera houses and big musicals. 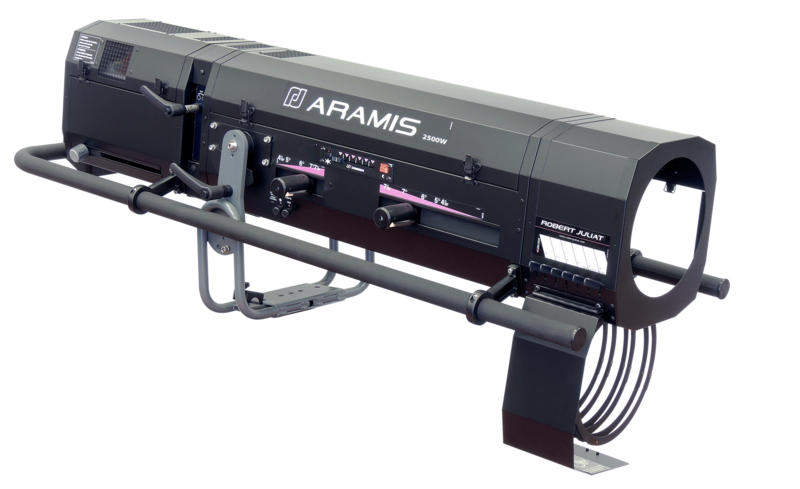 Used also in concerts and on tour, Aramis is constructed to withstand the rigours of touring and is well suited to the long throws of large venues, in- and outdoors. The option of a 'push/pull' or 'boomerang' colour changer means it can be tailored to suit the available space in each venue, while its frost filter on flip lever allows fast, simple 'focus' changes.